According to Paragraph 2 of Article 21 of the Law ‘About the Organs of the Internal Troops of the Republic of Kazakhstan’, Article 19 of the Law ‘About Internal Troops of the Ministry of Internal Affairs of the Republic of Kazakhstan’, Paragraph 1 of Article 9 of the Law ‘About Law Keeping Organs”, and the Law ‘About Education’. 1. 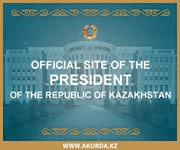 To introduce the following changes into the Order of Ministry of Internal Affairs of the Republic of Kazakhstan from April 26, 2011, № 186 ‘About Statement of Rules of Admission to Studying in Organizations of Education of the Ministry of Internal Affairs of the Republic of Kazakhstan’, implementing educational programmes of higher professional education (registered in list of state register of standard lawful acts by № 6977, published in The Kazakhstanskaya Pravda on June 8, 2011, №180 (26601). ‘2-1. These rules regulate the order of admission to higher educational institutions of the Ministry of Internal Affairs of the Republic of Kazakhstan, including military educational institutions of the Internal Troops of the Ministry of Internal Affairs of the Republic of Kazakhstan.’. 2. To confirm the enclosed rules of admission to educational organizations of the Internal Troops of the Ministry of Internal Affairs of the Republic of Kazakhstan. 3. The committee of Interior Army of Ministry of Internal Affairs of Republic of Kazakhstan has to provide in directed order the state register of the present order in the Ministry of Justice of the Republic of Kazakhstan and publishing in periodical printing editions. 4. 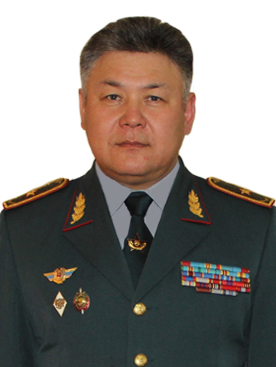 The control over the execution of the order lies on the Commander-in-Chief of the Internal Troops of the Ministry of Internal Affairs of Kazakhstan (R.K. Zhaksylykov). 5. The given order is brought to action after 10 calendar days from the day of its first official publication. 1. The rules have been elaborated in accordance with the Laws of the Republic of Kazakhstan ‘About the Internal Troops of the Ministry of Internal Affairs of the Republic of Kazakhstan’, ‘About Military Service and the Status of Servicemen’, ‘About Education’, Typical rules of Admission approved by the Resolution of the Government of the Republic of Kazakhstan on 19 January, 2012, №111 and determine the order of admission to educational institutions of the Internal Troops of the Ministry of Internal Affairs of the Republic of Kazakhstan, implementing educational programmes of higher vocational education. 1) Citizens of the Republic of Kazakhstan who have not served in the ranks, on reaching age of 17 at the year of entering, but not older than 21 years of age. 2) Citizens who have served in the ranks, or active servicemen not older than 24 years of age. 3) Servicemen serving on the contract base and not older than 25 years of age. 4) Citizens of foreign states on the basis of international contracts and agreements ratified by the Republic of Kazakhstan. 3. Selection of candidates for studying at military educational institutions is carried out in accordance with the plan of recruitment to military institutions of the Internal Troops of the Ministry of Internal Affairs of the Republic of Kazakhstan. 4. The plan of admission has been elaborated by the Committee of the Internal Troops of the Ministry of Internal Affairs of the Republic of Kazakhstan every year, by January 30. 5. Extracts from the plan are sent to the commanders of formations and units of the Internal Troops of the Ministry of Internal Affairs of the Republic of Kazakhstan by February15. 1) Take part in the work on military vocational guidance of citizen, serving in the military units. 2) Lead to candidates request is taken to candidates. 3) Before May 15 organize work on preliminary selection of candidates for admission to the military educational institutions. 4) With candidates organize preparation to complex testing. 7. For participation in propaganda actions directs the representatives of the military educational organizations with granting information material about activity of the educational organizations to military units and local organs of military management. 8. Servicemen of urgent service, servicemen by contract wishing to arrive to military educational organizations till 1 March of year of receipt in military educational organizations, according to the annex 1 to these rules. 9. The citizens who aren’t consisting on military service and expressed desire to arrive in military educational institutions, submit the corresponding application addressed to the commander of military unit of Internal troops of Ministry of Internal Affairs of Republic of Kazakhstan and also documents of the list, necessary for receipt to military educational institutions, according to the annex 1 to these rules. 10. Commanders of military units give out the directions on candidates for receipt in military educational institutions for passing of the military medical commission by form, according to the annex 2 of these rules. 11. About time and place of arriving for passing of the selection to military educational institutions the selection commission of military institution note candidates before 1 July of entering year through military units of Interior Army of Ministry of Internal Affairs of Republic of Kazakhstan. 12. In established periods the military personnel of urgent service are recalled for passing selection to military educational institutions. 14. All candidates who have arrived in a military educational institution, provided with free accommodation and feeding. 15. The organization of receipt for study is By the committee of the military institutions. 16. Functions, duration and composition of the selection committee determined annually by order of the Commander-in-Chief of Interior Army of Ministry of Internal Affairs of Kazakhstan Republic. 17. Chairman of selection committee is appointed by head of the military institution. 18. By the decision of the selection committee appointed by the executive secretary of the commission, which has no voting rights. Not full-time temporary acting military-medical commission is established in accordance with the instructions of the military-medical examination in organs of Internal Affairs, approved by order of Minister of Internal Affairs of Republic of Kazakhstan from July 27, 2010 ( registered in the state register of regulatory legal acts), chaired by the Chief of the Medical unit of the military institutions, with the participation of medical specialists to conduct medical examinations to determine healthy candidates to enter for study. Commission on Physical preparation test is created for the realization of the arrangements for the selection of candidates for physical reasons. Commission is composed of employees of the Chair of physical training and tactical training for the military educational institution. The appeal commission shall be established for the review of application for selection on physical condition and testing. The technical group is created for the implementation of measures for the receipt and process of personal and educational affairs of candidates. The first stage is the selection commission of military educational institutions forms a contingent of candidates, select by the medical, physical and psycho physiological indications including the territorial principle of preparation candidates. At the second stage — the selection of candidates in accordance with scores of certificates issued by the results of a Single National Testing or complex testing conducted on the technologies developed by the National Testing Center of the Ministry of Education and Science of Republic of Kazakhstan. The third stage — selection commissions of military educational institutions conduct enrollment in the number of students by the results of the medical, physical and psycho physiological indications, results of Single National Testing or complex testing. 21. Information on the procedure for admission, decisions on the organization and conducting admission, timetable and consultation, codes of correct answers, results of complex testing, as well as other necessary information are posted on the informational boards for timely notify candidates. 22. Candidates on physical testimonies selected and the results of implementation of physical exercises are estimated in accordance with norms on physical preparation for entering the Military institute according to an appendix 3 to the real Rules. 23. Table of contents of norms on physical preparation and condition of implementation of sporting exercises taken to taking of candidates not later, than 24 hours prior to beginning of selecting on physical preparation. 24. Immediately in front of beginning of handing over of norms on physical preparation the members of commission on verification of physical preparedness must conduct instructing with them, during that inform them with the terms of implementation of exercises and accident prevention under sign. 25. Every kind of physical exercises included in the Qualifying Standards is taken separately. 26. Not more than 3 candidates are admitted to do chin-ups and run 100-meter distance simultaneously. The maximum of 10 men are allowed to run 3,000-meter distance (cross-country race) simultaneously. 27. The results of all sports exercises are recorded by the members of the board examining the Physical Training qualification on a separate evaluation sheet. After the results of exercises have been recorded, no retakes of the tests are allowed. 28. A consolidated record of proceedings is made up based on the data contained in the separate evaluation sheets and handed in to the Admission Committee of the military educational institution. The consolidated record of proceedings contains a conclusion concerning the result of the Physical Training Qualification Test. The candidates are informed about the results within an hour after the test. The results are placed on the information stands. 29. A candidate who disagrees with the result of the Entrance Test on Physical Training may lodge an appeal. The members of the Appeals Committee dealing with the problems connected to the results of the Physical Training qualification standards are appointed by the order of the head of the military educational institution. 30. A candidate can lodge an appeal to the Appeals Committee personally till 1p.m. of the following day (after announcing the results of the exam on Physical Training). The candidate is to have the identification card. An appeal is considered for 1 day. 31. According to the results of considering the application a candidate gets the right to retake a physical exercise on the Physical Training Qualification Test. 32. A decision of the Appeals Committee is made by a majority of votes. The work of the Committee is registered in the minutes. They are signed by the presiding officer and all members of the Committee. As a result a candidate gets an extract from the minutes of the Appeals Committee’s session. 33. Admission tests are conducted at the basic educational institutions of higher education according to the Standard Rules. 34. Admission tests are applicable to the candidates determined by Paragraph 5 of the Standard Rules. 35. Candidates entering the military educational institutions take admission tests in Kazakh or Russian according to the programmes of secondary education. The chief subject is Physics. 36. Re-sitting a test is not allowed. Reselection on medical, physical or psycho-physiological characteristics is not conducted. 37. Admission procedure to military educational institutions takes place at the session of the College/Institute Admission Committee in accordance with the scores of certificate. Medical, physical, and psycho-physiological characteristics, as well as a number of planned places for admission are taken into account. 3) Winners of international academic and scientific competitions of educational subjects (awarded by the diplomas of the 1, 2 and 3 degree), republican and international competitions of performers and sport competitions (awarded by the diplomas of the 1, 2 and 3 degree) of the last 3 years (the list is determined by the Representative Body in the Branch of Education), the winners of Presidential and Republican Competitions of the scientific projects on educational subjects (awarded by the diplomas of the 1, 2 and 3 degree) of the current year if a chosen specialty conforms to the subject of the competition. — Children of the servicemen killed or missed during service or become disabled soldiers. 40. Admission of cadets to the military educational institution of the Internal Troops of the Ministry of Internal Affairs of the Republic of Kazakhstan is carried out by the order of the chief of the military educational institution. 41. Extracts from the order of admission during are sent to the military units within 10 days on their signing for excluding the cadets from the lists of the unit. They are also sent to the Departments of the Affairs of Defence, regional, district’s (municipal) directorates on Affairs of Defence for excluding the candidates from the military register and special registering in the Ministry of Internal Affairs of the Republic of Kazakhstan. 42. The candidates who have not been admitted to the educational institution are detached: servicemen are sent to the former place of service; civilians – to the district (municipal) departments of the Affairs of Defence in their home-places. Their personal documents are returned; the reasons of refuse to admission are indicated. 43. On ending the work of admission committee the chief of the educational institution reports to the Committee of the Internal Troops of the Ministry of Internal Affairs of the Republic of Kazakhstan about the admission of cadets. 44. Cases which are not regulated by the Rules are tackled by the admission committees in accordance with the Laws of the Republic of Kazakhstan ‘Of Education’ and ‘Of the Internal Troops of the Ministry of Internal Affairs of the Republic of Kazakhstan’. 3. The questionnaire certified by the personnel office of military unit. 4. The characteristic from a work or study place (military service). 5. The certificate of registration in a residence. 6. Photos (sized 3.5*4.5 cm) – 6 pieces, 9*12 cm – 1 piece (assured by the personnel office of military unit). 7. Reference from the local police inspector, references from neighbors. 8. Copies of identity cards and birth certificates on close relatives (the father, mother, brothers, and sisters). — assigned certificate or military ID. 1. In the statement (official report) are specified: the surname, name, middle name, date of birth, education, residence, what military educational institution wishes to enter in, on what specialty, if necessary specify, in what language wishes to hand over complex testing. Checkup purpose: to identify the validity degree to enter the Military Institute of Internal Troops of the Ministry of Internal Affairs of the Republic of Kazakhstan. I am requesting to hand in the resolution of the military-medical committee to the applicant who is to give it to the personnel department. 1. 3000-meter and 100-meter races are carried out from the standing start on the running track of a stadium or smooth playground with any covering. 2. One is allowed to do not more than two exercises a day; a cross-country race (3000-meter race) is carried out on the other day, separately from other exercises. ‘Satisfactory’ – if more than half of the marks are ‘Satisfactory’ with no unsatisfactory marks or one unsatisfactory mark with positive marks for performing of all exercises (including not less than one ‘Good’ or ‘Excellent’ mark). Phone numbers are in the section Contacts.